Garden Carpentry. Timber decking design and build: Timber Decking Wales...Some fencing as well! Timber Decking Wales...Some fencing as well! 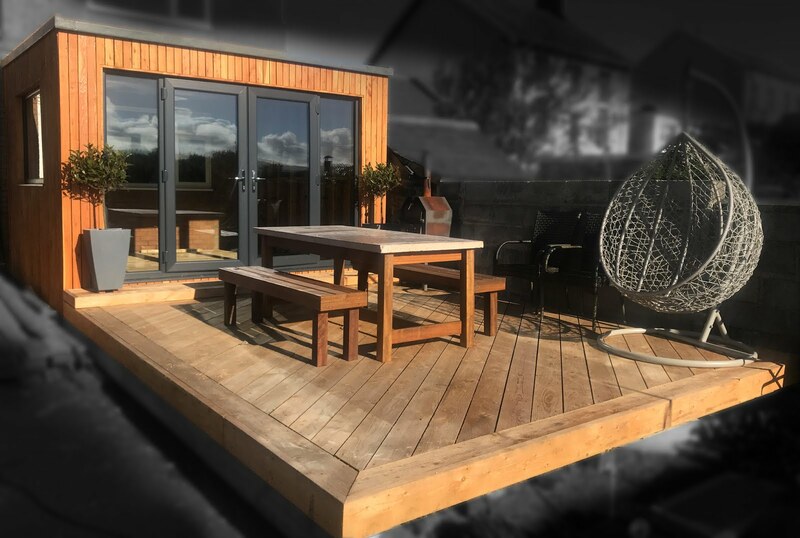 Although Decking is our main area of work, we also carry out all other forms of outdoor carpentry. 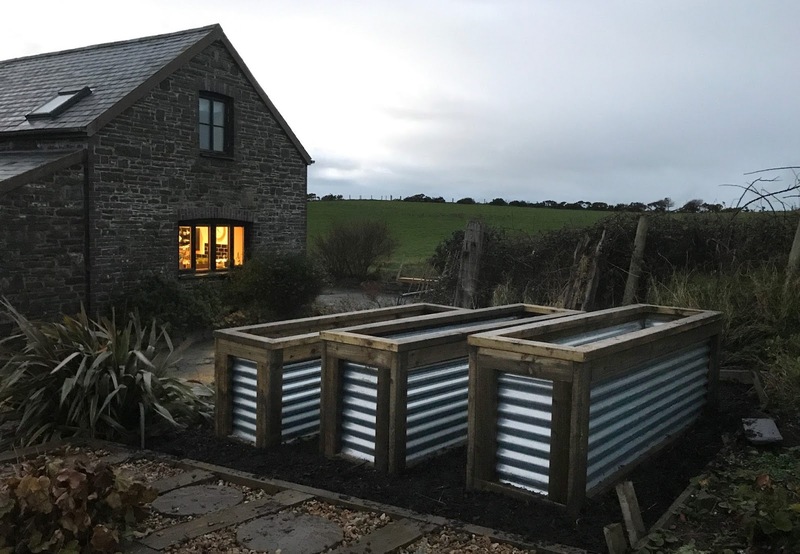 We regularly terrace gardens, turning steep or wastes space into leveled areas and planting areas to grow veggies or simply add some flowers to your garden to enhance what you may already have planted. Fencing is another area we specialize in, although for some reason I haven't posted pictures of many of the fences we've built for people in this blog. So here's a catch up on fencing photos, and Ill try to show a variation of some of the styles that are available. The type of fence you have installed will of course depend on your needs and the environment you live. if you live some where such as Borth or parts of the Dyfi valley where the wind blows strongly, Id avoid having a solid fence or panels, and instead look at a fence that will allow the wind to pass through it, and therefore place less pressure on the posts and keep your fence standing up right! This is a 'feather edged' hand built fence on quite a slope! It may look like panels, but each section is individually fitted on site to ensure a strong and secure border. The gaps at the base of each section where planted with bushes to cover the exposed bank. The main advantage too stepping the fence rather than following the natural slope of the land is that it creates more privacy than the latter option. Each job is different and these are things we will consider and also 'string out' prior to starting the installation. This particular job was reasonably difficult, not just due to the nature of the post positioning, but due to the materials having to first be carried through the house and then up the bank above the house. Anything is possible though! A simple picket fence, built properly can add an attractive border to your property. For this particular job, (being next to the main road, and having already been knocked over once by a speeding car), We decided to beef up the posts by inserting 4x4 inch posts instead of the usual 3x3 we would use for this height of fence. Gates are built in the style of the fence and add to the unity of the installation. A great option for windy areas where a total block or large fence is needed. Hit and miss can be built vertically or horizontally. The fence has timber on both sides creating the same appearance either side. The gaps can be staggered to create more or less of a gap through the fence. This is an especially strong and resistant fence that will out last most other designs. In the pictures below, Concrete posts have been used to further more extend the longevity of the construction. The area without two sections of uprights below, was only left due to the neighbor's shed not being able to be moved. The fence however created a block in itself. To finish we use a 6"x1" capping to ensure no end grain is exposed and prevent water from entering the lengths of timber, especially important for extending the life of the timber fence. ...and here we have hit and miss built Horizontally. I added a trellice to the top of the fence to help add a decorative touch to the fence. A over lapping gap in the ground plan allowed a gap into the garden without needing a gate but still ensuring privacy in the hot tub area. In this particular job we also added a multi level decking area to further more enhance the clients garden. Some customers require a fence to go along with a deck or railed area. Rather than build this as a separate entity, the fence can be combined into the other project, reducing costs and helping to produce a more aesthetic finish. 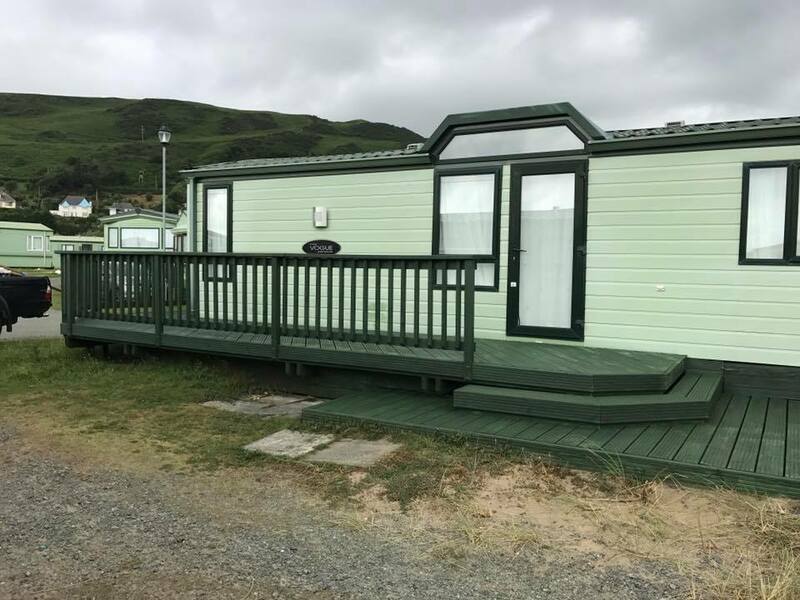 This area was designed to stop the wind that funneled through the caravan park in Aberdovey. For more combined decking and fencing work please look here. This brief for this fence was to create totally privacy, but also complement the garden. The fence neighbored a children's park and was also on the coast. Every thing was made larger and stronger to ensure the fence could withstand the elements within its environment! Two boards where used as a kicker plate to add extra height to the fence and help rigidity. As with other jobs, a capping rail ensured water would not enter the end grain, whilst also adding to the end finish of the fence and again helping strength. Photo taken using a wide angle lens, hence the curved appearance! Most of the fences featured have been built using treated softwoods. We do however have a local supplier that can supply fencing timber in local timbers such as Spruce, Cedar, Larch and others. Ill be adding to this fencing link, as and when I get round to taking photos of other jobs, so please come back and have another look, or sign up to our subscription. To view some previous posts with Welsh timber decking jobs click here. We are happy to quote and fit fencing all over Wales and the boarder counties, please call us to arrange a visit or discuss any options you may have. 01654791342 or If I'm on a job on 07739031593. Thanks for the information. I am currently in the planning stage of a very ambitious remodeling and re landscaping project for my back yard. I have a grand vision of a deck that connects to the 2nd floor of my house and has an outdoor spiral staircase leading to the ground level. Anyway, I'm researching some building material and methods online in order to plan my starting point. Do you suggest real wood, or some other material?